About half an hour before celebrating my 40th birthday I went to Chico’s and bought a new birthday outfit. I bought a shirt in the same light turquoise of almost every birthday shirt I wear, because it goes with my eyes and looks good. I bought a new necklace because it looked great with the shirt and new earrings to go with the necklace and because Zeke has pulled several earrings out of my ears lately and they are lost forever. Then I glanced at the sale rack and found some sparkly jeans. 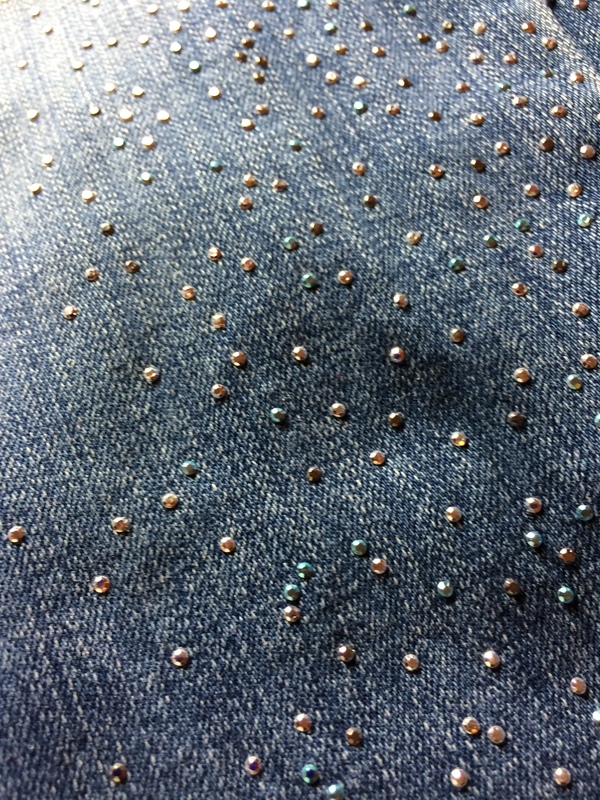 Bejeweled jeans. Magnificent jeans adorned with a zillion sequins. I am pretty sure I have never owned any clothing containing so much as a single sequin. My wardrobe choices lean toward functional and away from shiny. But if you can’t wear sparkly jeans on your 40th birthday, when can you? I wondered if I would find another occasion to wear them. I remembered that I am going to see the Indigo Girls perform tonight. Why not wear sparkly jeans? And I am going to a birthday party next weekend? SPARKLY JEANS TIME! I think before I turned 40 I would not have looked twice at those jeans. And I would have missed out.